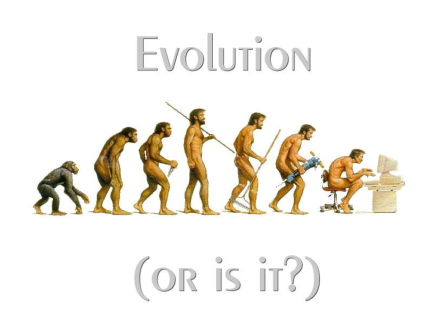 In conversation last week with a friend about personal growth and development, he mentioned that he prefers the word 'evolution' to that of 'change'. His rationale is that 'change' creates fear in people. As creatures of habit, most people prefer things to stay the same and worry that change must mean something uncomfortable. It prompted me to think about the terms we use and to ask if change and evolution is the same thing, and when and where the words are best applied. There are some things that definitely require to be changed not evolved. For example, I definitely change my light bulbs, they do not evolve. (The type of bulbs I use may have evolved over the years, from tungsten to energy saving, but the act of replacing them when spent is a definite change). Neither do I evolve my bed linen, my vacuum cleaner bags nor the filters in my water jug. These, though are all inanimate objects. And people are, of course, different…. The way I perform these tasks may well have changed over time – or even evolved – so perhaps the differentiation comes from here. Behaviours, skills, strategies, beliefs, opinions, systems can evolve. The human body can evolve – with better nutrition in the developed world, we're now much taller, and with the advent of the contraceptive pill, women's body shapes have changed – or evolved. To say nothing of the way the human brain has evolved over thousand of years into its current tripartite embodiment. Human thinking can also evolve, we can learn to use our inner resources more effectively, we gain by education, and our way of life has changed dramatically since the beginning of life on earth – discoveries, experiments and inventions have brought radical changes and alterations to how we conduct the daily business of living as human beings on our planet. Now, if we are encouraging people to change – can we more easily ask them to evolve, or does evolution take place naturally, almost unconsciously, in response to outside conditions but with no deliberate intervention? Is transformation perhaps the more encouraging word to use? Transformation has a certain magic about it, a positive sense of something happening which offers a better, happier outcome. Or is that simply my interpretation? Does transformation contain an inbuilt element of wisdom and improvement, which change does not? There can be subtle changes, but somehow a subtle transformation does not sit well, meaning-wise, for me. Change can be for better or worse, but in my neurology, transformation is equated with betterment. For example, I would say 'the witch changed the prince into a frog' – and 'the fairy godmother transformed the pumpkin into a splendid carriage'. Then, I suppose, if the prince wanted to become a frog for some reason, he'd consider it an improvement….And now the 'Shrek' movie comes to mind when the princess chooses life as an ogre because of her love for Shrek. Now I'm onto Pygmalion, whose dedicated thought and intention transformed a marble statue into a living woman for him to love…..maybe he changed his thoughts, evolved his way of being… and thus transformed and even transmuted a substance which then transformed his life….a process to realise and manifest what he wanted most? I could get really deep into the linguistics here – so many nuances and shades of meaning, but I will stop for now. Change, evolve, transform – all have their place, and it's fascinating to continue exploring their meaning in our lives.